CEE’s Leading Logistics & Supply Chain Management B2B Networking Event, the TRANSLOG Connect Congress, took place in Budapest for the 8th time recently. More than 500 senior executives from over 30 countries accomplished over 1,500 pre-scheduled meetings within the two days. During the event, the Central and Eastern European Logistics & Supply Chain Management Excellence Award was ceremoniously awarded for the 6th time in two categories, considering innovativeness, adaptability, sustainability, cost-effectiveness and customer value-contribution of the applying projects. The goal of the award is the recognition and appreciation of these logistics and supply chain management practices that have proven success, and to raise the awareness of innovative solutions. Besides professional recognition, the winners in each category had the opportunity to present their prize-winning projects to the professional participants at the event. In the industry category the Knorr-Bremse – a specialist in modern break system for railway and commercial vehicles – won the award for developing successful supply chain processes and methodologies optimizing production and country-to-country relocations. Find out more about their award winning project and read our intervew with Gábor Salamon, Supply Chain Director of Knorr-Bremse Systems HERE. 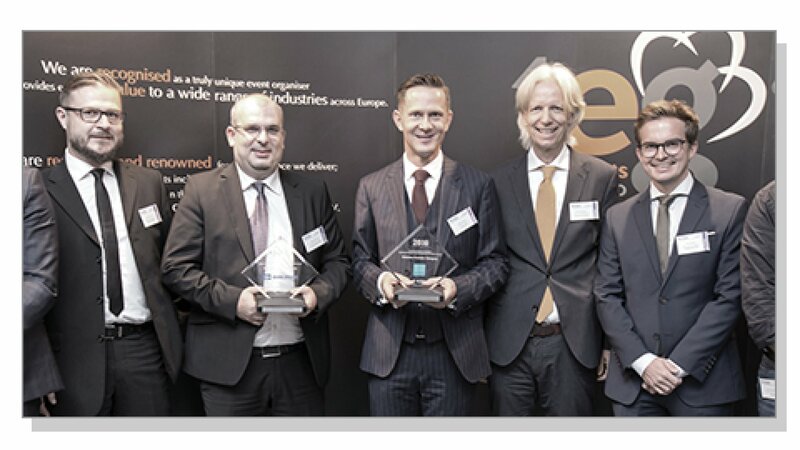 In the solution provider category Arviem, based in Switzerland, has received the ceremonial recognition for its cargo-handling solution, which does not only allow real-time tracking during transits, but is also complemented by numerous additional reporting services. The results obtained by the exploration of the “dark-spots” of supply chain, and the possibility of immediate corrective measures have made a significant contribution towards achieving better design efficiency. Find out more about their award winning project and read our intervew with Stefan Reidy, founder and CEO of the Swiss Arviem AG HERE. The TRANSLOG Connect Congress will offer the next opportunity for the industry’s leading decision makers to catch-up with future-oriented innovative solutions once again in November 2019 for the 9th time in Budapest and to further expand the professional community in CEE. Don’t miss out and be a part of it in 2019!